Meals on Wheels is celebrating its 38th year of service in the Brandon area. The Brandon area branch began in a collaboration between Limona Village Chapel United Methodist and St. Andrew’s United Methodist. Since then, 18 churches have signed up to provide hot meals to those in need within the community. Serving approximately 250 hot meals each day requires a lot of dedicated volunteers, planning, and donations. 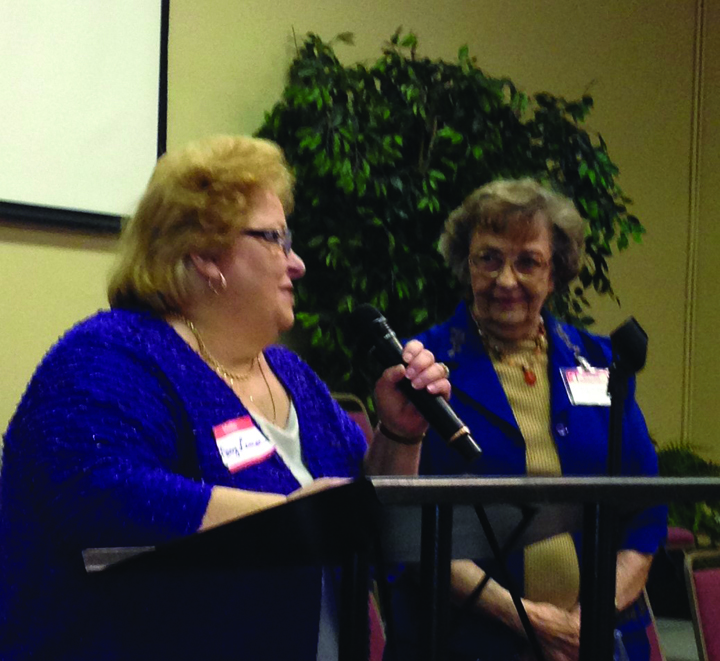 Meals on Wheels held its annual luncheon to reward volunteers on April 3 at Bell Shoals Baptist Church. Music by “The StrawBerry Singers,” a talented group of senior citizens, provided the entertainment. Volunteers who had completed 1, 5, 10, 15, 20 or 25 years of service were acknowledged. The Volunteer of the Year Award was presented to Mary Lemar from St. Stephen’s Catholic Church. She has been serving Meals on Wheels for 18 years. “I got involved in Meals on Wheels in 1997 when it first started at our church. I wanted to volunteer for something and it was one of the things that interested me. And so I went to the very first meeting. I like cooking so I got involved so that I could cook for people who couldn’t cook. My favorite meal to cook is called Seafood Pasta. The clients rave about it,” said Lemar. Seafood Pasta is a dish made up of imitation crab meat, bits of shrimp and pasta. When asked if she had any special memories during her time visiting people’s homes, Lemar replied, “There was one lady in the Bloomindale area that we served, who was probably in her 80s. She would come to the door all dressed up, just beautifully. In her younger years she had been a model. She had different drivers come in to look at all of the dresses that she wore.” Everyone was shocked when the woman went to the hospital and passed away. “She was a lovely woman,” Lemar remembered. Lemar currently serves as the coordinator for Meals on Wheels at St. Stephens. “There are so many people that you touch their lives and they touch yours as you get to know them and talk to them. They look forward to seeing you,” Lemar said. During the luncheon, Meals on Wheel’s president, Jim McNeil, also gave special recognition to Melody Green from Dover Baptist Church, although she was unable to attend the luncheon. Interested parties can contact Jim McNeil at 653-2801. More information can be found by visiting www.brandonmealsonwheels .com.